I made a box for my dad some time back. I think I mentioned I find box lids somewhat addictive. The sad fact of the matter is that you can only have so many embroidered boxes in your own home before you start running out of places to put them. 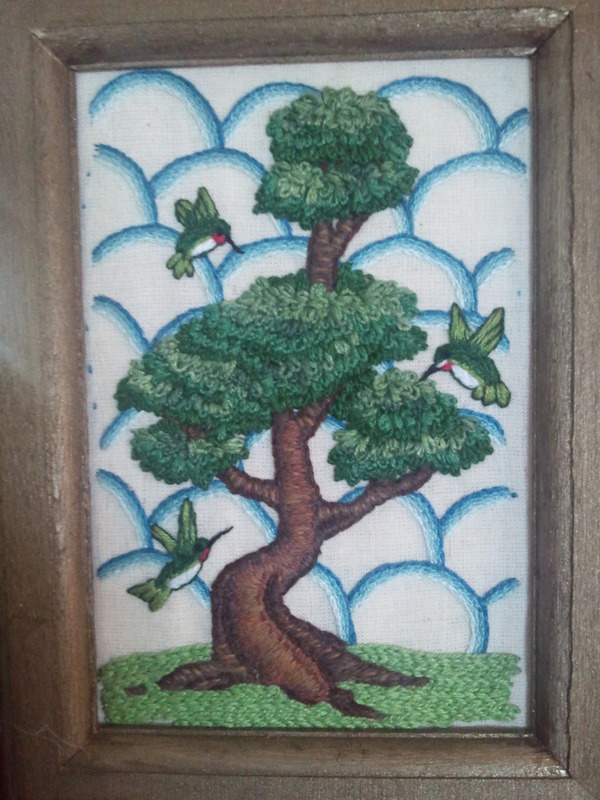 The upshot of this is that almost everyone in my immediate family has received an embroidered box from me. 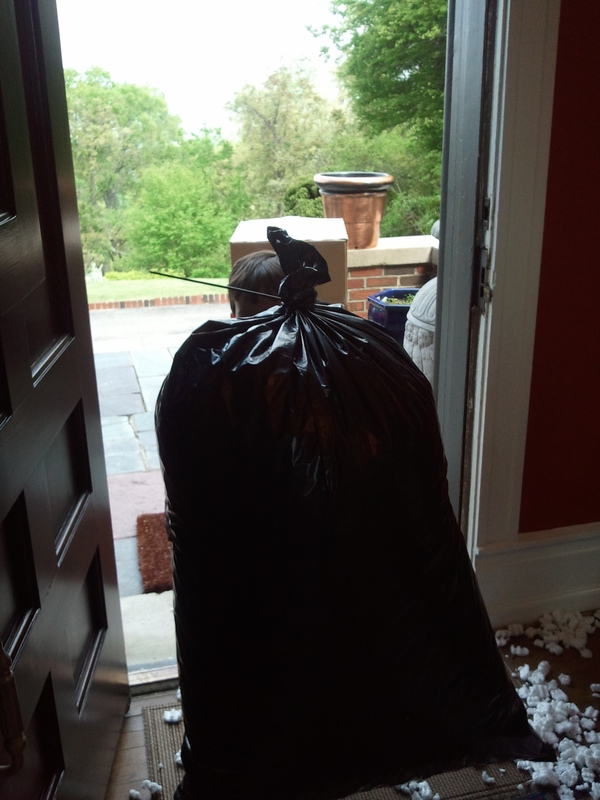 Last year my dad decided to get some bonsai trees. 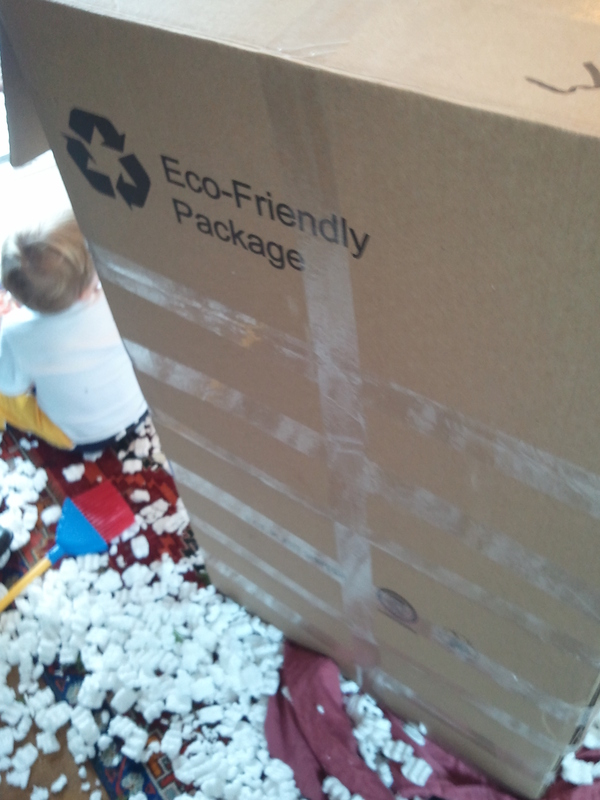 The best part of their arrival was not the unveiling of the trees, but unpacking them from their shipping boxes, which read “Eco-Friendly Package.” Inside were approximately sixteen billion styrofoam peanuts. Anyway, one of the bonsai, an elm, went on the back deck at my parents’ house, in between the hummingbird feeders. My dad was very proud of his bonsai trees, so when I started planning his design, I knew I wanted to feature the tree and the birds. If, when you look at this, you wonder why hummingbirds are clustering around a flowerless tree, the answer is that there are two feeders just off-screen that didn’t make it into the design. 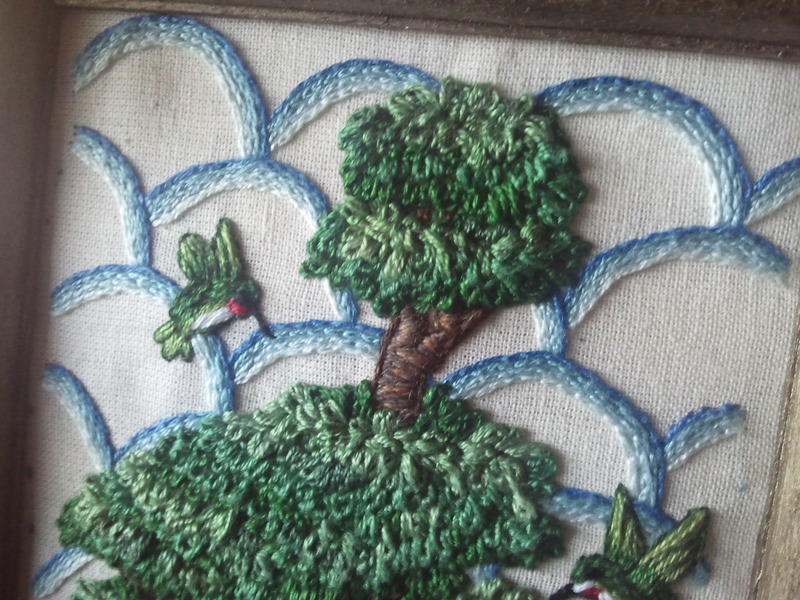 The clouds and hummingbirds are done in DMC cotton, and the tree is stitched in wool. The leaves are detached chain stitch, and number like unto the stars in the sky, or styrofoam peanuts in Eco-Friendly Packaging. The bonsai sadly didn’t make it, although the hummingbirds came back, and unless you dissolve them in acetone (which we didn’t,) styrofoam peanuts are probably forever. 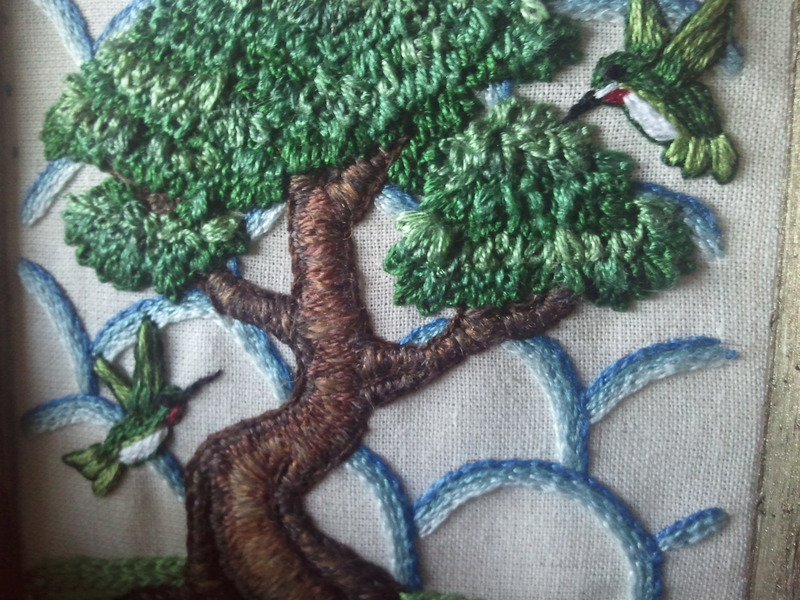 This entry was posted in Uncategorized and tagged birds, box tops, embroidery, surface embroidery, wool by Rene. Bookmark the permalink.